Statistics show that 93% of all car accidents are due to human error. 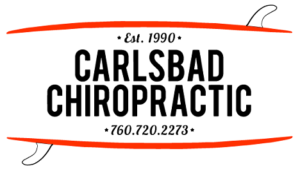 Whiplash symptoms do not appear immediately after a car accident, it may be days later that one begins to experience neck pain, back pain, headaches, sciatica or long term pain which can lead to arthritis. Men and women are affected by a car crash differently. Accident victims often feel pain such as neck pain, back pain, vertigo and migraine headaches with many other health related problems. The cost to society from car accidents runs into the tens of billions of dollars and disables up to a third of a million people each year. Whiplash is one of the leading causes of disability and loss of productive years of life because it affects so many people in early life. 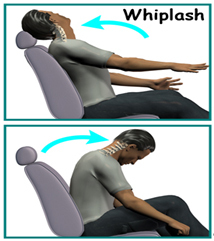 Whiplash can occur at impacts as low as 6 mph. Obviously a car’s body can withstand the impact of a crash better then a human body leading to the statistic that more than 50% of whiplash injuries happen without any visible damage to the vehicle. Statistically 92% of whiplash injuries can cause neck pain, but whiplash is not limited to neck pain. Up to half of all whiplash victims will suffer headaches, fatigue, shoulder pain, anxiety, back pain, lower back pain, sleep disturbance, and impaired concentration. The average head weighs 10 to 16 pounds. Take a moment to imagine the recoil effect and therefore the stress that is placed on your neck as this weight is thrown back and forth during the impact of a car crash! Department of transportation, National Highway Traffic Safety Administration.